We often hear bicycle crashes referred to as “bicycle accidents.” If someone else is negligent, that’s not an accident. It means someone didn’t follow the rules. Attorney Ann Groninger and paralegal Jana Morris have logged countless hours on their road bikes, mountain bikes, cyclocross bikes and commuter bikes. They understand firsthand the rules of the road and how they apply to injured cyclists in court. Ann and Jana are also committed to the cycling community. They meet with cycling clubs and bike shop groups to help them understand their rights and responsibilities on the road, with the goal of making the cycling experience safer and happier. 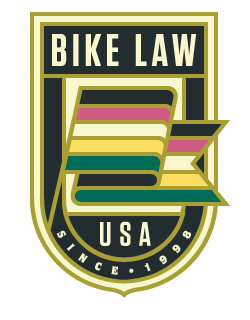 Ann is also a founding member of Bike Law, an organization that aims to help riders and their families through education and representation. Consultations in bike cases are free. Ann wrote the book on North Carolina bicycle laws, called “Ride Guide (BLB #1: North Carolina Bicycle Laws)”.